Curry powder is a blend of many spices, and comes in almost infinite varieties. Each curry powder can have different component spices, in differing amount-making each curry blend unique. The characteristic of each curry relies entirely on the balance of herbs and spices that go into its creations. Local influence distinguishes curries from one region to another. Authentic Indian food almost never uses curry powder. Traditionally, Indian Housewives preferred using their own individual spices mix, which sun dried and milled but we can assure you’ll definitely love our homemade style curry powder. 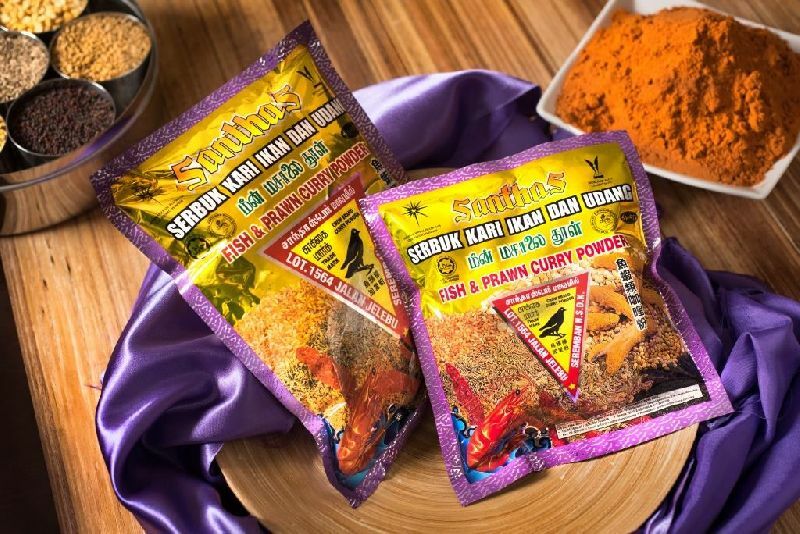 Our flavorful curry spice blends with natural ingredients and perfect for versatile Indian cooking and suitable for world kitchen who prefers rich base for curry. Our meat curry powder is very rich in flavor and curry spices used in this curry powder are expertly chosen by Santhas to make them an excellent base for all your favourite curries. Try our finest variety Meat Curry Powder to make an excellent base for your homemade style Curry, Biryani, Marinate, Grill, Burger, Vegetable Pattie, Potato Chips, Kebabs, Kofta and don’t limit yourself experimenting culinary skills. Our curry powder and spice mix are made using Mr. Vallison’s original recipes. Pride and Herritage of Mr. Vallison thought his children to pack in every Santhas product that’s made. If you love curry, you're sure to love this Homemade Style Curry Powder. It's rich and perfect for use in Indian cooks, at home or in restaurants would use individual spices, cooked along with the main ingredients - that's why no "curry" ever tastes the same twice.